Have you ever found yourself working harder to make sure you receive that extra bonus at work? Or have you ever found yourself staying a little longer and doing a little more when there is a reward involved? What truly motivates you? Grades4Life is about helping you to find that motivation and helping you to achieve success. Grades4Life is an online incentive program for students K-12 that rewards students for educational and social accomplishments. Help stop bullying, pay it forward, or volunteer, and reward yourself. If we all received a Grade for life what would it be? 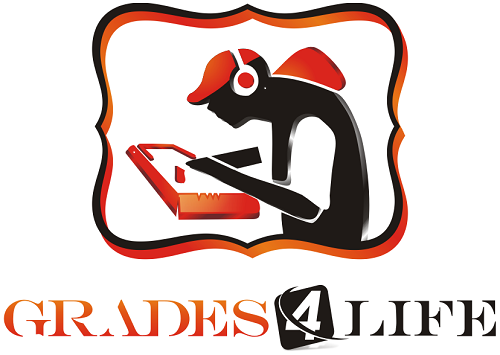 Grades4Life, founded by Chris Johnson, is a point based social media platform that encourages good grades and character among our youth today. Students just don’t seem that motivated to do well in school particularly when some of their favorite TV stars, musicians, celebrities, athletes, and fashion icons never finished high school let alone college. Grades4Life (G4L) hopes to be a solution that will once again reinvigorate a passion for students to take their grades seriously sooner in life. G4L has teamed up with businesses and organizations to do just that in an ethical and compensatory manner for Kindergarten through 12th graders based on good grades and positive social achievements. Chris Johnson Piscataway, NJ native and a young corporate veteran with a B.S. in Marketing who also is currently completing his MBA and soon-to-be a first time new dad has more than 12 years of experience working with major power players such as Verizon and Novo Nordisk. Grades4Life promotes education in collaboration with socially conscious activities such as Anti-Bullying, Pay-It-Forward, and volunteerism. By promoting involvement in these activities G4L rewards, encourages, and inspires students through discounts with retail partners nationwide. Chris talks about why this platform is important to improve the overall outcomes for the next generation, how businesses and the community can partner with the efforts, and the importance of pushing children in the direction of social activism. I. For generations, parents and loved ones have attempted to incentivize academic performance. How does Grades4Life advance that idea of rewarding students for their performance in school? Grades4Life advances the idea of rewarding students by developing a system that allows students to reward themselves. Grades4Life is a fun interactive environment that recognizes and celebrates high achievements and in doing so reinforces the value of pride in one’s work ethics and results. The rewards are things that they enjoy like eating out at restaurants, discounts at favorite retailers, passes to theme parks, opportunities to meet some of your favorite celebrities and so forth. So if you want better prizes get better grades, volunteer more, etc. It motivates them beyond mediocrity. II. Grades4Life doesn’t just focus on rewards for academic performance. There are also opportunities for rewarding students for civic and social contributions. Talk about the social component. Do you think that we balance out the attention that we put on educational along with social performance from students? Grades4Life embraces the life concept that the more good you do the more good comes back to you. The social component of Grades4Life exists to show our youth that the way you are as a person and the good you do can be just as important as your education. In life we are graded for more than just what we scored on a paper and it’s really important that our youth understand that and do what they can to help others.You can be the smartest person on your job but still get fired for poor ethics, poor attitude, and not understanding how to work on a team. III. Looking at the site, it seems to have a design that would attract students as much as, if not more than, a parent. Do you think the success of the site will be determined by parents encouraging kids to sign up, or by kids finding out on their own about the site? Well the primary focus in the way the website has been designed is to attract students. We have placed games, contests, interactive tasks, rewards and more that all are meant to speak to our student members. However, we also want to speak to our parents in a way that establishes a safe and secure method of motivating students as well as provides parents with another means of keeping in touch with school officials and teachers. I don’t believe that our success will be determined by parents signing up their students; rather our success will be furthered by the type of rewards and locations that we are able to offer to our student members. We hope parents will be excited about some of the great items their children will be able to get, along with all the hard work they see their children do. IV. You haven’t rolled out the scholarship component of the site just yet. How will the scholarship component be shaped into the overall Grades4Life initiative? One of the main components of Grades4Life is being able to partner with businesses to offer rewards and promotions. In creating these types of partnerships, we also have a forum where any of our partner businesses or organizations can list information about scholarships opportunities they may have along with the criteria. We do this to raise awareness amongst our student members as well as highlight some of the good that our partner businesses are doing. We hope to roll this out in early 2015. V. What role will teachers play in pushing Grades4Life? Have you developed any partnerships with schools or school districts? The Grades4Life program is also meant to be a tool for teachers. After speaking with many teachers we have found that there are many cases where teachers are looking for extra help to motivate their classrooms. Grades4Life helps to do this and also rewards our teachers as well. Each time our teachers validate a grade from one of their students they receive a point which can be redeemed through the website. We are in negotiations with several school districts as well as the youth programs of various colleges. Currently we have been focusing on solidifying our relationships with various businesses in the areas of our partner schools. We are also seeking to partner with tutoring programs and universities as a part of their youth outreach programs. We will list our new partnerships in January 2015. VI. Explain the “points” system for students and the partnerships that you have with stores. For test grades with A’s or B’s, the student receives 3 or 2 points respectively. For report card grades of A’s and B’s the student can receive 15 points or 10 points. The student also has the opportunity to complete one of our social tasks and receive 2 points as well as earn 1 point for each time a student shops at one of the businesses within the Grades4life network. We give businesses creative control over the promotions in which they offer however our suggestion is to offer lower level items for lower points and higher scale items for higher points. We want every student to be rewarded for their efforts however we want to reinforce the value of working hard towards a high goal. VII. You’ve built this platform to bring together businesses, teachers, parents, and students all in the name of education. Where do you see this group partnership going within the next 5 years as a result of your platform? Well, we are now patent pending so we are very excited to see and track the results of the students and businesses within the program. Our main goal is to create a system that positively impacts the education system through the use of our program. Over the next 5 years I would hope to see this type of partnership working across the nation with businesses, schools, teachers, and students all working and improving together. Tags: Chris Johnson, Grades4Life, Teen activism. Bookmark the permalink.